In Bollywood, it’s hard to find movies where the protagonist is speech-impaired; only a few movies come to mind of such sort, including Koshish, Khamoshi and Iqbal. R Balki’s Shamitabh revolves around the story of a speech-impaired boy, named Daanish, and his struggles to realise his dreams. His strong desire to become an actor takes him to Mumbai and once there, he starts his journey to become the “future king” of Bollywood. But his progress is slow and the journey is quite perilous; after all, who would sign a film with a mute actor in a lead role? After seeing his struggles, the audience is then introduced to Akshara Pandey (played by Akshara Haasan), who is an assistant director, who notices the passion, zeal and volcanic expressions that Daanish has in his acting. She takes Daanish to her uncle (who is a doctor by profession) to see if there is anything that he can do to help him. The uncle reveals that there is, indeed, a certain treatment which might help him speak. But for it to work, they’ll need a voice-box, one that suits Daanish. Here begins their search for the “right voice”, until they bump into Amitabh Sinha (Amitabh Bachchan). Amitabh is a drunkard who lives in a graveyard as a tenant. They find his voice appealing and decide to ask for his help. But why would he help Daanish? Will there be a clash of egos? Will Daanish make it to the silver screen? 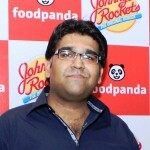 Will the world ever get to know about Daanish’s speech-impairment? This is essentially the storyline of Shamitabh. To get the answers, you need to watch the movie. Mr Bachchan outdoes himself once again and gives a phenomenal performance. He excels in a role that he never had any difficulty performing; his frustrated, angry and comic scenes while he’s drunk – they truly evidence his excellence. To date, he is the best on-screen drunkard ever seen in Bollywood movies. That’s why he played the lead in the 80’s Sharaabi. In recent years, this movie is Amitabh’s most promising work, hands down. Dhanush, the Kollywood actor who plays the role of Daanish, was appreciated by the masses in his last venture Raanjhana (his Bollywood debut). In Shamitabh, he has managed to enthral our hearts once again. It’s almost impossible for new actor to get noticed in scenes where an actor like Mr Bachchan shares screen-time with them but Dhanush not only surpasses that, he also makes the audience eager to see more of him in every other act. His emotional scenes, unspoken anger and outbursts are the highlight. He is undoubtedly the next big thing in Bollywood – he just has to select the right roles. Akshara’s performance was average – it could have been a lot better. Her acting reminded me of a younger Aishwariya and Sareeka (her mother), but I saw very little of her own self. 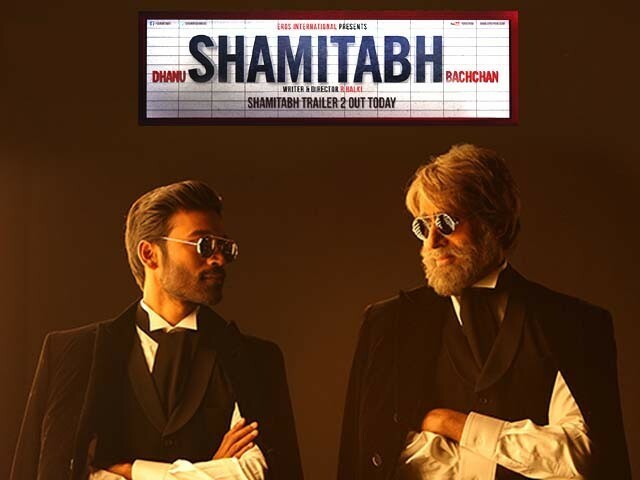 Shamitabh stands at par with R Balki’s last two excellent instalments Paa and Cheeni Kum. He has the talent of beautifully portraying difficult and complicated emotions with gusto. If you are an Amitabh Bachchan fan, or fell in love with Dhanush in Raanjhanaa, then Shamitabh is a must watch. But if you are looking for a dhishoom–dhamaaka, senseless comedy or a total masala flick then skip it. Shamitabh caters to a particular taste; you either love it, or hate it. Nothing in between. I would rate it an easy 3.5 out of five.